Military deployments: What do Marines do between tours? What Do Marines Do Between Deployments? 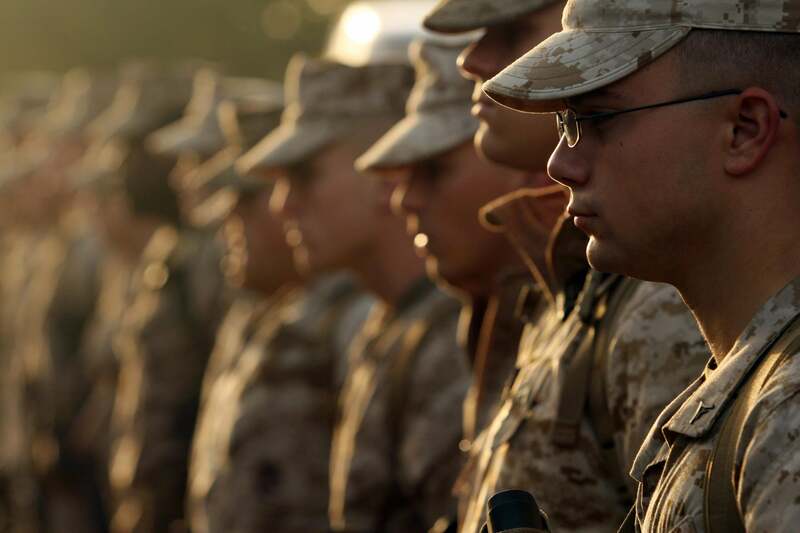 Marines prepare to deploy to Afghanistan in 2009 at Camp Lejeune, North Carolina. This answer is Marine Corps–specific. Different units have different rotation cycles. My group (a military unit of similar size to a regiment) consisted of four squadrons that rotated in seven-month cycles. That meant that we had about seven months in country, then a year back at home, and the rest of the time was spent in extensive training to get ready to head back. Each squadron was at a different phase of the cycle than the others, always rotating perpetually until the war was over. Basically, we spent the whole time not in theater preparing to go. We were working on gear (repairing it ot replacing it) or training. We would spend a whole year getting everyone in the squadron trained up with their annual training requirements, such as physical fitness tests, rifle/pistol qualifications, gas chamber, etc. We also spent this year to cool down, relatively speaking, with the regular day-to-day business. While in the States, our jobs looked more or less like office jobs except you got there at 5 in the morning to exercise for two to three hours, and people scream at one another far more than you would expect of a cool-down period. After this, we would take part in unit-specific training missions to prepare us for the mission we were about to engage in. For my unit, MWSS 372, which was going to Iraq to serve as a support squadron to a helicopter base, that meant going to Yuma, Arizona, for three months during the weapons and tactics instructor course, which I think is about getting pilots ready for what they do. I wouldn’t know about that, because usually it just meant me running cable in 90-degree desert heat. After three months of that, we would be back home to our base for a month to “chill” with family and prepare for our next training mission, which for me was Desert Talon. Desert Talon was far worse than WTI mostly because, during my training cycle, it always put me right back in Yuma around late July. It was mostly the same job as WTI except instead of 90 degrees it was probably 115, and the tempo was twice as fast-paced. Wretched heat. It was only a month, but it somehow was worse than WTI due to the potency of the misery that Arizona can inflict on you. For the life of me, I don’t know why people choose to live there. Yuma is, however, perfect for training in a desert environment. I can safely say it was worse than Iraq. Afterward, you went back to be with family and the “office job” for another month before going on predeployment leave. This is the last chance to see friends and family before starting another tour and going wherever it is you were going. During my time, that meant either Iraq or Afghanistan. There are other units that had it far worse: seven months on, seven months off. I can’t imagine. The Army also does things differently, but this is as specific as I can get about it. Military: How trained and capable are the current Chinese military forces? United States Armed Forces: Which one makes the most money, police officers or the military? Military Life: What do soldiers keep in all those pockets they have?